Bot detection and mitigation software is used by companies to defend against attacks or other unauthorized activity involving bots. Bots may attempt to take down sites and perform a DDoS attack, scrape data from a website, or perform fraudulent transactions. Bot detection and mitigation products are designed to recognize bot activity, identify malicious bots, and prevent them from engaging with websites, applications, or networks. Companies use these tools to maintain availability during attacks and prevent bots from completing their intended tasks. These tools may have similar features to DDoS protection software but bot detection and mitigation solutions defend against a variety of bot-related activities, rather than one type of attack. Bot Detection and Mitigation reviews by real, verified users. Find unbiased ratings on user satisfaction, features, and price based on the most reviews available anywhere. ShieldSquare helps online businesses filter non-human (bot) traffic on websites and mobile applications through a non-intrusive API based approach. With ShieldSquare's real-time protection, online businesses can protect themselves against account takeover, ad fraud, web scraping, carding, skewed analytics, and other forms of bot abuse. ShieldSquare processes tens of billions of page requests every month. We protect 80,000+ internet properties of global online brands spread across 70+ countries. Our clientele includes leading businesses from several industry verticals, e.g., E-commerce, Media, Classifieds, Real Estate, Travel, Gaming, Auction, and Healthcare. DataDome is a Saas cybersecurity company specialized in protecting e-commerce and classifieds businesses against automated threats (credential stuffing, SQL injection, intensive scrapping, layer 7 DDos attacks). Its real time, AI powered bot protection solution covers all vulnerability endpoints (website, mobile app and APIs), integrates seamlessly with 95% of the worlds web infra and runs anywhere, in any cloud, with no impact on performance. 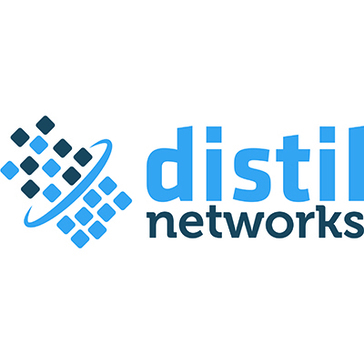 Distil Networks protects your website from fraud, brute force attacks, web scraping, account hijacking, unauthorized vulnerability scans, spam, man-in-the-middle attacks, and click fraud. Slash the high tax that bots place on your internal teams and web infrastructure by outsourcing the problem to the team with a maniacal focus on blocking malicious bots. :: Harden your website security by eliminating malicious bots :: Protect data from web scrapers, unauthorized aggregators and competitors :: Increase insight and control over human, good bot and bad bot traffic :: Deploy on the Distil Cloud CDN or Distil Appliance (Physical | Virtual | AWS) Distil’s self-optimizing protection blocks 99.9% of malicious bots without impacting legitimate users -- eliminating the manual IP blocking that IT teams used to do. Bot Manager relies on the simple premise that bots are not all created equal. Many bots play a legitimate role in your online business strategy. Others harm your business by reducing competitive advantage, getting between you and your customers, or committing fraud. Bot Manager provides a flexible framework to manage bot traffic based on the needs of your business—to better engage with your customers, improve your security posture, and control the traffic coming to your website every day. Secucloud's ECS2 solution protects data traffic against external threats in mobile communication networks and prevents botnet traffic (even from its own network). 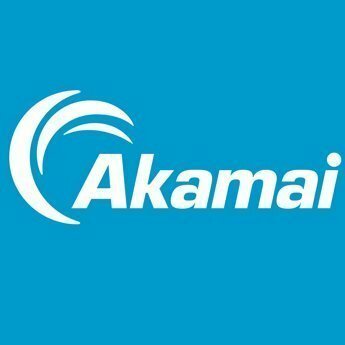 In doing so, it enables providers to play an important role in the protection of their customers against malware and unwanted harmful content. PerimeterX Bot Defender is an easy to integrate and accurate service to detect and mitigate automated web attacks. Reblaze’s next-generation algorithms identify and block even advanced bots that can bypass traditional detection methods. Unbotify leverages behavioral biometrics data and machine learning models to provide a game changing bot detection solution. Wangsu BotGuard relies on big data analytics and forms a bot management network. BotGuard detects and analyzes real time traffic, distinguishes traffic from legitimate users, benign bots, and malicious bots. It sets management policies according to different types of bot traffic, and protects customer data against unfair competitive advantages. adopting intelligence database, client-side rate limit, client-side fingerprining, bot trap, machine cognition, and etc. Hi there! Can I help you find the best Bot Detection and Mitigation solutions?